Surrounded by the beautiful mountains and the stunning seascapes as we are here on the Isle of Anglesey, it is very difficult not to be inspired. I personally draw the most inspiration from the lovely creatures resident to Puffin Island and the surrounding Menai Straits, and as such, these are what I find most often on my canvases. Currently, we are a small company of just two, a mother and daughter pair. We are based in Beaumaris but hope to expand our reach as our collection grows. 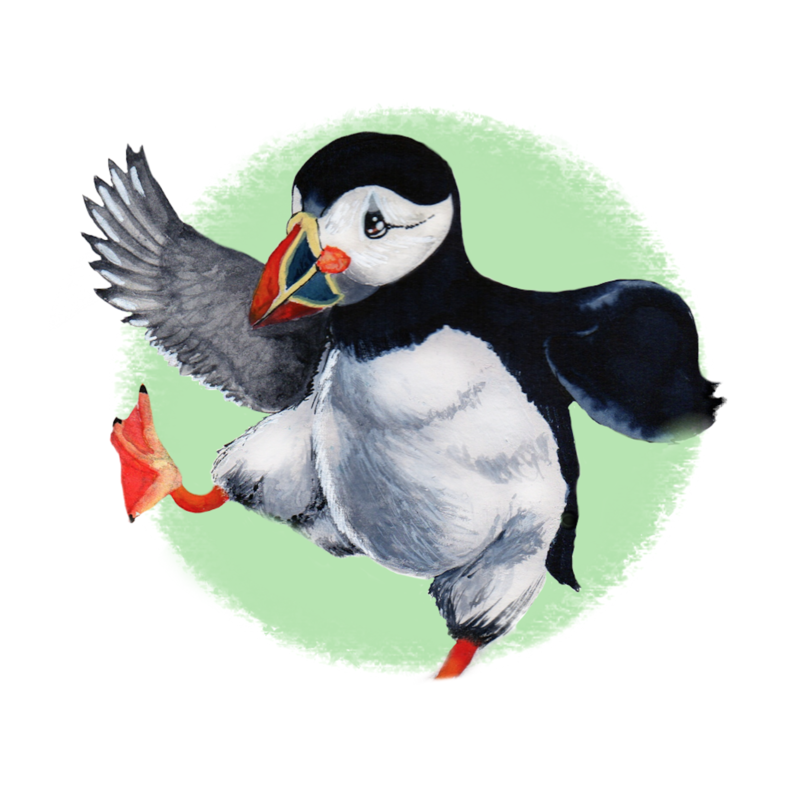 We offer cards, canvases, mugs and many other gifts printed with my hand-painted puffin and pals illustrations.